We all are fond of watching videos on YouTube, more or less. From kitten and bunny videos, the cutest part of YouTube, to songs and tutorials, there is hardly anything untouched by the Google’s might service. With time, YouTube comes with new features for creators as well as the viewers to make YouTube even better, smarter, and obviously more content rich. One of the best features of YouTube is the playlist feature. This feature was introduced a few years back, and is one of the features, which has made, searching things on YouTube, and watching videos, a lot easier and better. If you are not aware of YouTube playlists, it is a similar playlist feature, which you can get from your music player, where you add multiple tracks, and each of them are played one after another. The similar feature is available on YouTube, and you can even create your own YouTube playlist with your favorite videos, or songs. But have you ever thought of downloading YouTube video playlists to your computer? 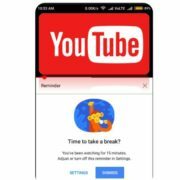 Yes, the offline feature is available for Android, but that is limited only to YouTube videos, and you cannot get the same on your desktop, as well. But, you can easily download YouTube video playlists with a small piece of software, and the ways to do that is given below. 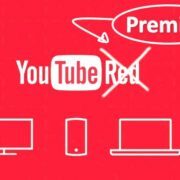 You might get a number of websites or tricks online to download YouTube videos to your computer, but you can hardly get any YouTube playlist downloader free online. *Before proceeding with the tutorial to show you how to download YouTube videos or playlists, you should remember, downloading YouTube videos or playlists is not officially supported by Google, and I will recommend you to not use the trick for any commercial purpose. The tutorial is meant for giving you a little information, and it should be meant for personal use only. Step 1: The name of the app is free 4K Video Downloader from Youtube. You can get the free version here. Just choose your platform, and start downloading. 4K Video Downloader is available for Windows, Linux, and Mac. There is also a portable version for Windows and Mac, and thus, if you do not want to pile your hard drive, with any new software, you can even download that. You can keep the portable version wherever you want, and you can even keep it on your flash drive, or cloud storage, to access it from anywhere. The limitation of the free version is that, you can download YouTube playlists, which are having 25 or fewer videos in it. You can’t even download all the videos from a channel, with the free version. You will have to activate it, and upgrade to the premium versions with a key, in order to get over the limitations. Step 2: The installation is easy, and it is same as the process of installing any other Windows program. Still, if you are not aware of it, let me explain the same. Step 3: Open the installer, and you will get the following screen. Just click on ‘Next’ where you will get the license agreement. Just accept the license agreement, and again click on ‘Next’. 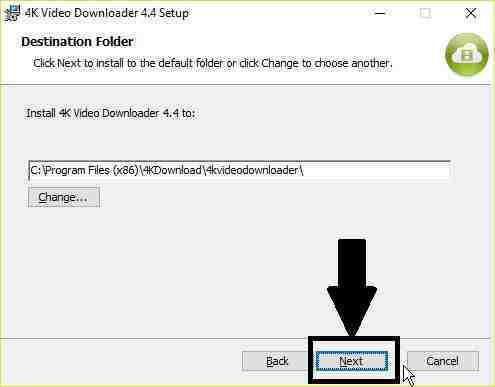 Step 4: Now, you will have to choose the location on your local hard drive, where you will install the 4K Video Downloader. I will recommend you to keep the default location. Just click on ‘Next’. Step 5: Now, finally click on the ‘Install’ button to start the process of installation. You might get a message from User Account Control. Just click on ‘Yes’. Step 6: Once the installation is complete, you might or might not uncheck the option to launch the program. Just click on ‘Finish’. Now, the most important part. How to use it! The task of the program is not limited only to downloading YouTube videos and playlists. You can even download all the YouTube videos from a particular channel. But for that, you will need to activate 4K Video Downloader and upgrade to the premium version. Apart from the option to download all songs from YouTube playlist, with the help of the program, you can even convert the videos from YouTube to MP3, and download them. Without discussing further, let’s find out, how exactly, you should use the app. Step 8: Open your browser, and search for your favorite video playlist. Once you open the page, containing the playlists, just copy the URL of the page, from the address bar. In the below image, you can see, there is a playlist, created by me. Step 9: Now, open 4K Video Downloader. You will find a button saying ‘Paste Link’. Just click on that, and wait. It will start parsing the links. If you are using the free version, but the playlist is containing more than 25 videos, the first 25 videos will be parsed and will be available for you to download. Step 10: Now, a small message will ask you, what you want to download. As I am downloading a playlist, I will have to click on ‘Download Playlist’. 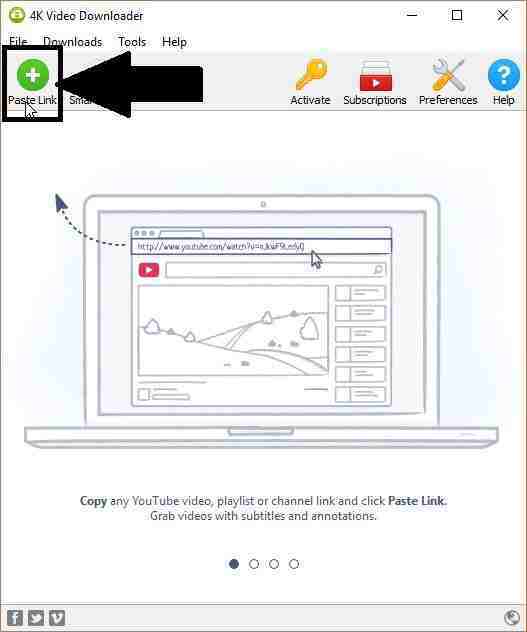 You can even copy the link of a YouTube video, and use the ‘Paste Link’ option. But, in that case, you will have to click on ‘Download Clip’. Step 11: Now the links will again be parsed as shown in the image below, and there will be options to download the videos or extract the audio from them. 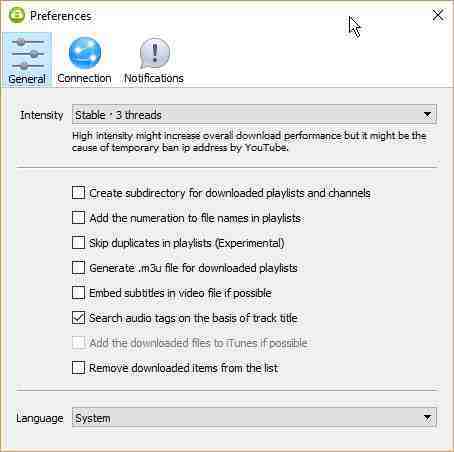 The following YouTube downloader can help you download YouTube MP3, and thus, you will get two options at the time of downloading. 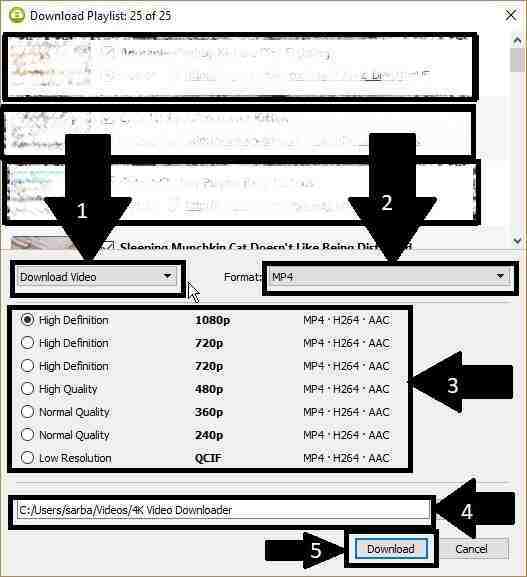 While downloading videos, you can download the videos and there is an inbuilt YouTube converter to convert the videos to MP4, MKV, and 3GP, for backward compatibility with older phones. Apart from that, you can choose the resolution of the download, as well, and the maximum supported resolution is undoubtedly 4K, as the name of the software suggests. You can even download subtitles for the videos, in different languages. Finally, you can choose the location, where to download the videos, to your local disk. Once you choose everything, just click on ‘Download’ button to start downloading. Step 12: The software is also a YouTube MP3 converter, and you can extract the audio to numerous formats like MP3, M4A, and OGG. You can even choose the bitrate or the audio quality of the output audio files. After you choose everything, you can click ‘Extract’ to download YouTube videos to your desired audio format. The download process will start, and you will see the following screen. Thus, you do not need any expert knowledge to use the software. Though, there are a number of settings, which you can change. But, I will not recommend you to do that them unless you need to change them. 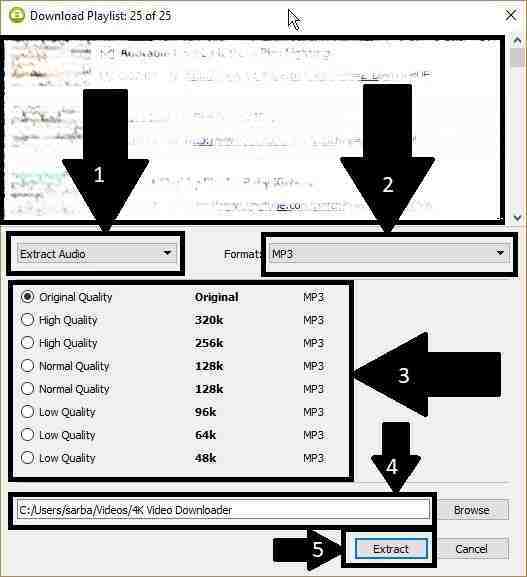 By default, 3 videos or 3 audio files will be extracted once, and that is the default setting. You can even change the thread count to 1, 5 or 7, depending upon your bandwidth. Downloading with one thread will use minimum bandwidth, and with increasing number of threads, the downloading speed for individual videos or audio streams will decrease. 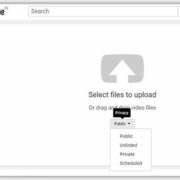 With the help of the following YouTube download HD, you can even create subdirectories for playlists and channels, which can help you to recognize the files easily after the download processes are complete. 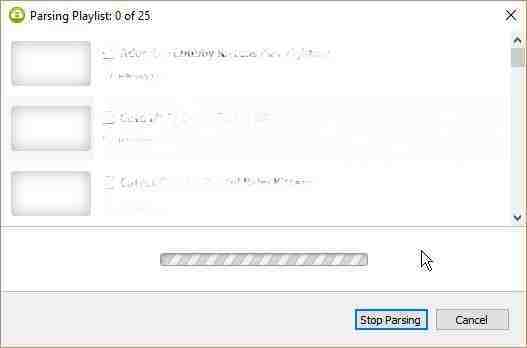 You can even enumerate the filenames from different playlists, and can also skip duplicate files in playlists, among other settings. There are some features, which are experimental, and I will recommend you to keep those settings off, to get the best experience of using the software. 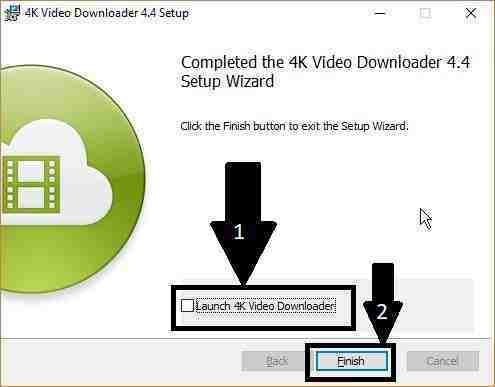 Thus, with tons of features, the 4K Video Downloader is by far, one of the best YouTube playlist downloader, which you can use. It also comes with bonus features, making it the best YouTube to MP3 converter, as well. There might be sites to download YouTube videos, but the features offered by 4K Video Downloader, is extraordinary, and thus, it is the best. 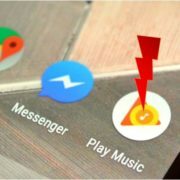 Apart from being an app to download YouTube playlist, you can even download videos, and extract audio from other websites like SoundCloud, Vimeo, and many others. Thus, if you are really in love with this software, you can even consider upgrading to the full version just for $15 or around Rs. 1,000, or at the price of dining out. Hope the small tutorial on, how to download YouTube playlists, and videos, was helpful for you. If you have any queries in mind, feel free to comment it down below.